The salvation of the just comes from the Lord. He is their strength in time of need. Almighty God, You glorified Saint Nicholas and companions by their zeal in spreading the faith and their crown of martyrdom. Through their prayers and example help us to run the way of Your commandments and to receive the crown of eternal life. More on Saint Nicholas Tavelic is found here. 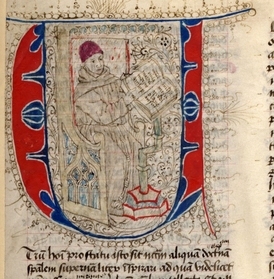 The second reading in the Office of Readings from today’s liturgical memorial [even though it is Sunday in 2009 and Sunday takes precedence over saints’ memorials] of Blessed John Duns Scotus bears posting here. What appears to be vague really is dead-on in thinking about charity and justice. Emphasis mine. The learned will shine like the brilliance of the firmament, and those who train many in the way of justice will sparkle like the stars for all eternity. Heavenly Father, You filled John Duns Scotus with wisdom, and through his life and teaching gave us a witness of Your Incarnate love. May we come to understand more deeply what he taught so that we may live in ever growing charity. 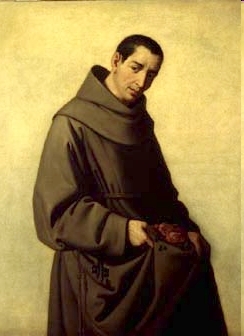 O Most High, Almightily and gracious Lord, Who exalts the humble and confounds the proud of heart, grant us the great joy of seeing Blessed John Duns Scotus canonized. He honored Your Son with the most sublime praises; he was the first to successfully defend the Immaculate Conception of the Virgin Mary; he lived in heroic obedience to the Holy Father, to the Church and to the Seraphic Order. O most holy Father, God of infinite love, hear, we beseech You, our humble prayer, thorough the merits of Your Only-Begotten Son and His Mother, the Gate of Heaven and Spouse of the Holy Spirit. He humbled himself in all things and found favor with God. Great is the power of God; he is glorified by the humble. Almighty, eternal God, in Your marvelous ordering of things You single out the weak of this world to shame the strong. Grant that by imitating the humility of Saint Didacus here on earth we may be raised up to eternal glory with him in heaven. The liturgical memorial for Saint Didacus seems to have been moved around through the years for one reason or another. The Roman Martyrology indeed lists him on November 12. 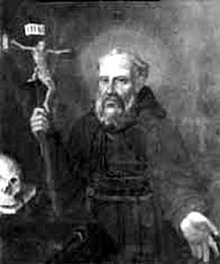 However, since I am following the Franciscan supplement to the Roman Missal, today his feast is observed on this blog in communion with the Capuchins. 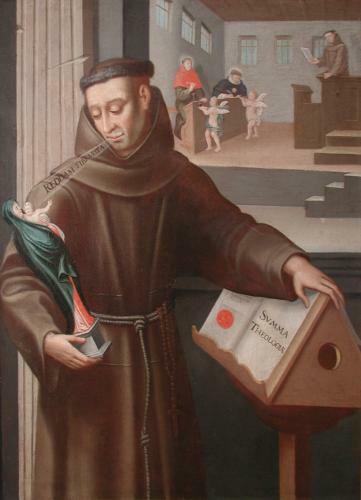 Saint Didacus is the San Diego, for whom the city in California is named. Seek the Lord, and you will be blessed. Loving Father, we give You thanks for Your servant Blessed Angelo of Acri. You made him a gift preacher and graced him with the ability to bring sinners back to You. Inspired by his example, and helped by his intercession, may Your power work in and through us and bring You glory.